Why run a Health Fair Event? Boomerang Life Balance questionnaire is about the things you can’t throw away. It is essential that we recognise the effects of mental and physical health and put measures in place to support positive health and wellbeing choices. By using the Boomerang Life Balance, it helps employees to understand the balance of their work and home life in order to reduce stress and feel happier. This will have a positive effect upon employees boosting productivity, satisfaction, and employee health and wellbeing. Outcome: Positive effect on employees boosting productivity, satisfaction, and employee health and wellbeing. Ask for a quick quote and one of our sales team will contact you to discuss your enquiry. Fields marked with (*) are required. By contacting us via this form or via email, you give us consent to use your data to reply to your query. We will not share your personal data with any Third-Party organisations. To know more about how what data we keep and how we use it, please read our Terms and Conditions page. 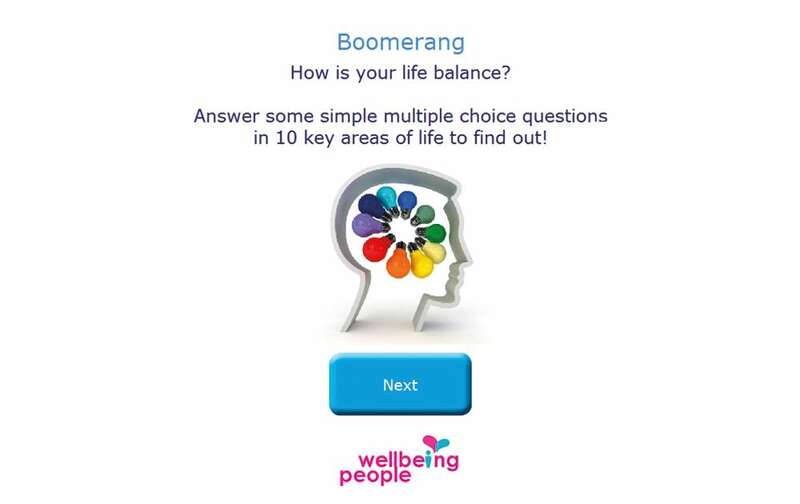 Boomerang Life Balance Questionnaire can be used as a standalone product, online and via our Interactive Health Kiosk There are 10 categories that cover key areas of life: body, sleep, exercise, relaxation, work life, home life, stress, diet, alcohol and smoking. After completing the questionnaire, the results are plotted onto a graph, the Wellbeing Web, which shows which areas need to be improved on. For example, could your stress levels be affecting your sleep? What is Boomerang Life Balance? The Boomerang Life Balance questionnaire is a simple way of analysing a wide spectrum of wellbeing areas in a fast, fun and engaging process. Available on the Interactive Health Kiosk via iPad or paper version, Boomerang is accessible to all and provides wellbeing analysis at group level and individually. In short, Boomerang is about the things you can’t throw away. It is essential that we recognise the effects of mental and physical health and put measures in place to support positive wellbeing choices. Boomerang Life Balance questionnaire is available either online via the Health Kiosk, Wellbeing Tracker or as a paper version. 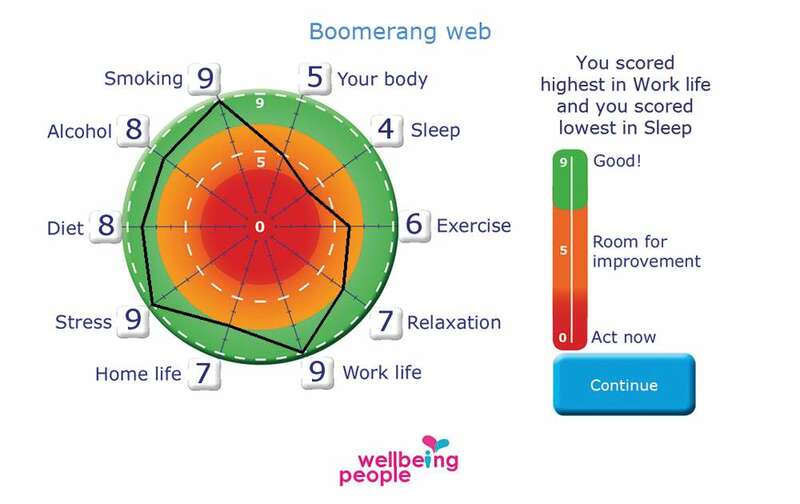 The wellbeing web is a depiction of the Boomerang results and allows individuals to view a snapshot of their life balance. Ten categories of lifestyle questions are completed and scored and a wellbeing web is created, providing an easy visual way of analysing the ten categories. 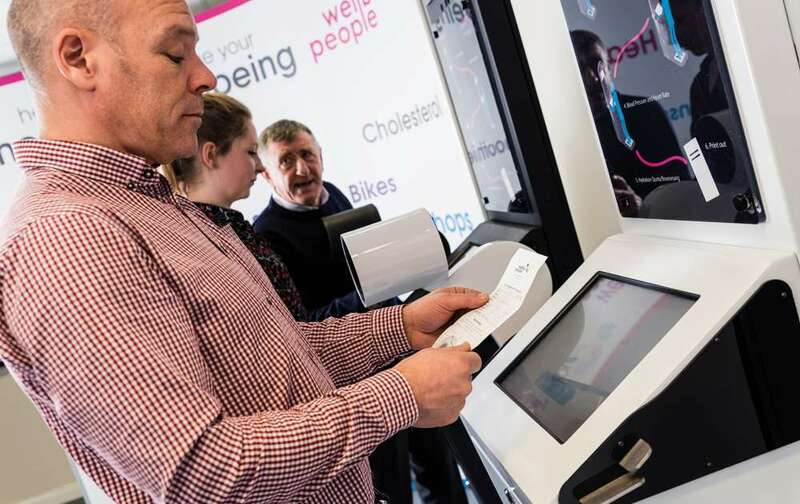 The wellbeing web is sent to individuals via email or via the printout from the Health Kiosk. From the results, individuals are signposted to local, national and in house wellbeing initiatives. Once the Boomerang Life Balance questionnaire has been completed, the aggregated results are collated. The findings are then provided to our clients in a comprehensive and confidential report. The results from Boomerang aid the understanding of wellbeing and identify where best to appropriate time, effort and budget to gain the maximum value from future initiatives. 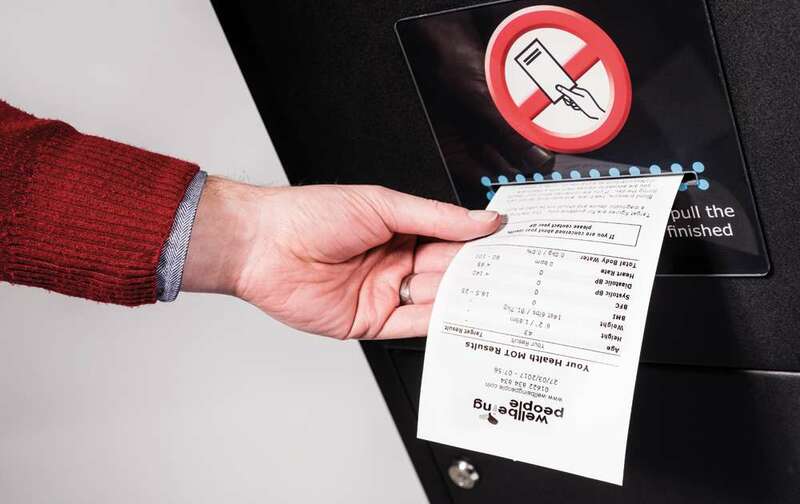 Specific bespoke signposting can be requested by a client which is dealt with by our Wellbeing People Team. Improvement of work life balance gives way to a more positive and productive workforce. Improves health and wellbeing and gives individuals an incentive to make positive lifestyle changes. Keep updated! Sign up to receive special offers and information on our products and services!